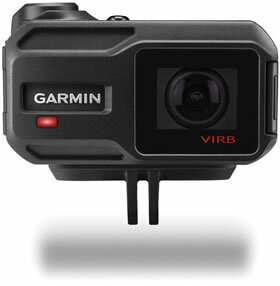 Garmin VIRB X is a video camera that will capture the view during any activity. The VIRB also offers a dedicated still photo button. Not only can you take photos, you can also set the device to automatically take photos at certain intervals over a period of time with intervals up to 120 seconds. You can control the VIRB with a compatible smartphone and you can edit videos with ease including the ability to sync multiple videos of the same event taken with different cameras to change the camera angle. The VIRB X is also designed to go underwater up to 50 metres without the need for an extra case. 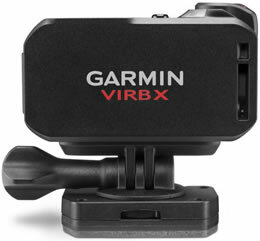 Accessories, spares and parts are still available for your Garmin VIRB X. The VIRB X is an action camera that will record video as you ride, skateboard, jump from aeroplane, sail, or in any other environment that you want to record video. There is also a dedicated button for taking still photos. Image stabilisation is also a feature that will ensure you get great picture quality whilst you are moving during activities where you may be wearing your action camera. The difference between the VIRB XE and the VIRB X is the XE is for professional and everyday use with also profile settings for different sporting activities. Both models feature a small screen on the top of the camera for control of the device. You cannot playback video but it will display your speed, distance, elevation and more. 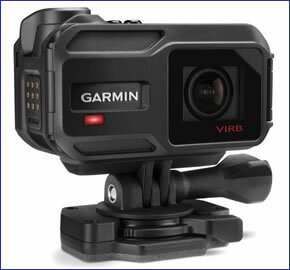 There is a built-in microphone that will record sound and not only can you use this microphone underwater but the Garmin camera device is also compatible with external microphones so you could use the camera on a motorcycle and record sound from a bluetooth headset worn by the rider wirelessly. There are many data analytics that the Camera can also record such as speed, direction, g-force, distance and height above sea level. This action camera is also compatible with mobile smartphones and some compatible Garmin devices. You can control the camera with these compatible devices to start recording, for example. When you are busy during an activity wearing the Garmin camera you may like to take photos but be unable to press the button to take a photo. In these situations you can automatically set the Garmin device to take a photo after a certain interval up to intervals of every 120 seconds. You can also set the action camera to turn on only when in use to maximise the battery life of the Garmin X camera. It will sleep whilst not in use. You can edit multiple videos from multiple cameras using the VIRB Edit software - each video is timestamped for sub-frame accuracy so there is no need to realign videos and manage time codes. You can also add music to videos using VIRB Edit and seamlessly switch between camera angles when using multiple cameras for recording. GPS technology also means you can track the VIRB X. VIRB tracking can also be used to get the last known position of your camera - get navigation to the location using a compatible Garmin device or compatible smartphone. You will never lose your action camera again! You can dive to depths of 50 metres without the need for an extra case. The Garmin X has also been designed to work whilst going in and out of the water as the hydrophobic, flat, all-glass lens provides clear underwater shots and between in water and out of water whereby water droplets run off the screen with ease so as not to interfere with recording videos or taking photos. The power contacts on the Garmin X are weatherproof so you can connect to a vehicle battery with uninterrupted recording in the toughest of conditions. There is also a rechargeable/replaceable lithium-ion battery for maximum flexibility. The Garmin X is also compatible with Garmin vector cycling power sensor, Garmin Heart Rate sensor and compatible fitness, aviation and marine equipment. A one touch record switch on the top of the camera allows you to start recording with ease. This is a 'solid click switch' so you will always know when you have started recording even when wearing gloves, for example. There are many mounts for all kinds of activities. From curved, flat deck and dash mounts to handlebar, seatpost, helmet, chest and multi-use strap mounts, we have you covered. VIRB mounts feature professional, non-slip, Allen head tightening, allowing maximum torque for vibration/impact resistance. 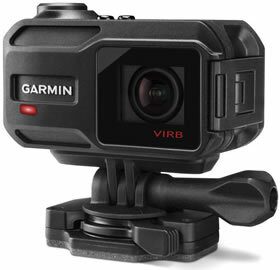 Looking for accessories to use with the Garmin VIRB X action camera? We sell a vast selection of genuine parts and spares including VIRB X head strap mount, replacement battery pack, VIRB X and Edge combo bike mount, adjustable mounting arm kit, large tube mount and bike speed/cadence sensor among many others.